Those are important advances, but like all trends, they’ll come and go. What we're talking about here is a more foundational approach that puts you in a better position to take advantage not only of current developments, but any future innovations. Future-proof your IT and software. Set your team up to easily take advantage of future technology innovations. Make your team more agile and adaptable, with more time for innovation. 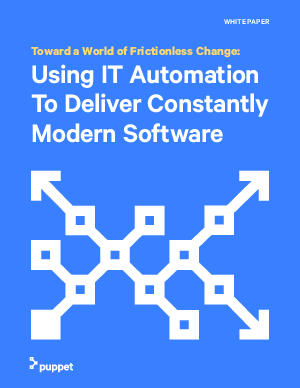 Use abstraction and automation to help manage what you have now and easily integrate future technologies into your IT environment.